Serving the legal needs of clients since 1980, with a commitment to excellence in providing high quality legal services with an emphasis on creative legal resolutions in the practice areas of real estate, corporate and estate planning. The The Loftin Firm, P.C. 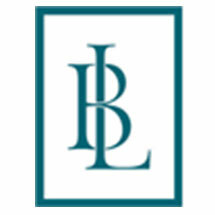 is a boutique firm serving the legal and business needs of its clients in the areas of Real Estate, Finance, Corporate law and Litigation, as well as Trust and Estate Planning and Elder Law. The Firm has established itself as providing high quality legal services with an emphasis on creative resolutions. We bring our experience and expertise to evaluate your business and personal goals, the economic climate in which we all must operate, and the changes likely to occur that might affect these decisions. It is our goal to provide each of our clients, ranging from Fortune 500 companies to individuals, with highest quality of personal service in a courteous and professional manner.